Washington D.C. - On Sept. 13, the Smithsonian’s National Postal Museum launched a new virtual exhibition, “America’s Mailing Industry.” This display tells a story of the partnership between the U.S. Postal Service and private industry, and how it’s helped American communication and business for more than 200 years. 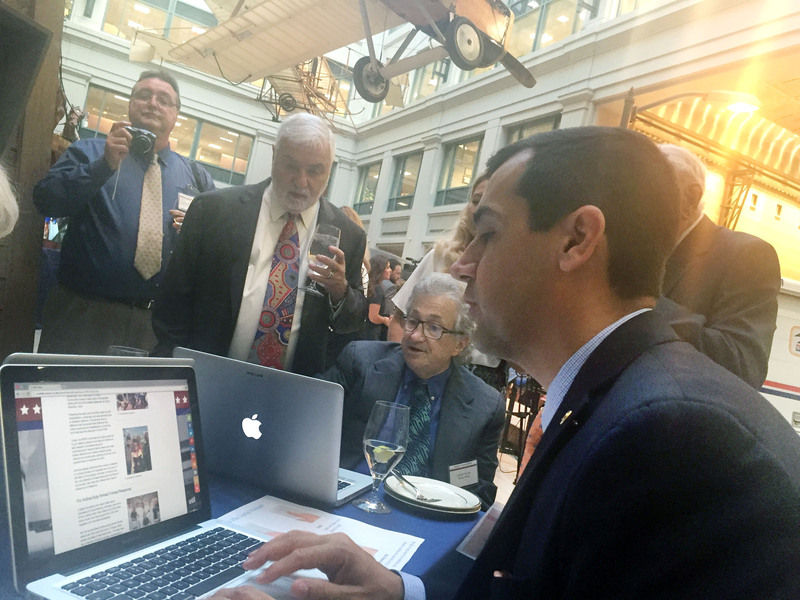 The National Postal Museum invited companies and organizations that are part of America’s mailing industry to submit their stories in efforts to enhance the comprehensive industry history. CEO/Postmaster General Megan Brennan, representatives from the Smithsonian Institute and members from the mailing industry, including Tension, all gathered in Washington D.C. to commemorate the inaugural virtual launch. The mailing industry consists of all those that communicate with customers and constituents through the U.S. mail on a large scale (e.g. direct marketers, nonprofits, and businesses that help prepare mail). In terms of the American economy, the partnership between the mailing industry and the postal system is significant at $1 trillion dollars and almost 8 million jobs today. The National Postal Museum continues to evolve and encourages companies in the mailing industry to submit their stories. Future plans for the exhibit include the design and construction of an on-site physical “America’s Mailing Industry” exhibition at the Smithsonian. See Tension’s virtual exhibit here. The National Postal Museum is devoted to presenting the colorful and engaging history of the nation’s mail service and showcasing one of the largest and most comprehensive collections of stamps and philatelic material in the world. It is located at 2 Massachusetts Ave. N.E., Washington, D.C., across from Union Station. The museum is open daily from 10 a.m. to 5:30 p.m. (closed Dec. 25). For more information about the Smithsonian, call (202) 633-1000 or visit the museum website at www.postalmuseum.si.edu. Tension Corporation, a privately owned and operated company based in Kansas City, Mo., is a global leader in envelope products and packaging & automation solutions. The envelope division serves a wide variety of industries including financial, insurance and direct marketing, and works with third party providers directly. Founded in 1886, Tension produces billions of envelopes annually and has regional plants and offices throughout the country and the world. Visit www.tensionenvelope.com for more information.